Treat mature skin at night when skin is most receptive with the Lavandula Iris Night Balm from DECLÉOR’s Aromessence™ range; an aromatic balm powered by essential and botanical oils that encapsulates a calming fragrance and relaxes the senses. Designed to intensely moisturise and re-energise tired skin, the melting formula rapidly absorbs into the skin, delivering a potent dose of rich nutrients. Infused with Iris Essential Oil, which helps to reduce glycation ageing and stimulate the quality of elastin fibres, whilst Chamomile and astringent Geranium helps to promote firmness, reduce the appearance of dark spots and tone the skin. Antioxidant Wheat Germ Plant Oil provides Vitamin E, which help to block external aggressors thus curbing the ageing process. 1. At night, warm a small amount of balm in the palms of your hands. 2. Inhale the aroma of your deliciously-scented balm. 3. Apply to your cleansed face and neck, by massaging gently. 971203 04 - Simmondsia Chinensis Seed Oil / Jojoba Seed Oil, Corylus Avellana Seed Oil / Hazelnut Seed Oil, Cera Alba / Beeswax, Butyrospermum Parkii Butter / Shea Butter, Helianthus Annuus Seed Oil / Sunflower Seed Oil, Copernicia Cerifera Cera / Carnauba Wax, Lavandula Angustifolia Oil / Lavender Oil, Sesamum Indicum Oil Unsaponifiables / Sesame Oil Unsaponifiables, Linalool, Fusanus Spicatus Wood Oil, Tocopherol, Lavandula Hybrida Oil, Anthemis Nobilis Flower Oil, Citrus Aurantium Bergamia Fruit Oil / Bergamot Fruit Oil, Helichrysum Italicum Flower Oil, Limonene, Daucus Carota Sativa Root Extract / Carrot Root Extract, Farnesol, Vanilla Planifolia Fruit Extract, Geraniol, Iris Pallida Root Extract, Citral, Coumarin, Citric Acid, (F.I.L C211359/1). I had previously bought this balm from Decleor and loved how it was so soothing and smelt of a gorgeous natural lavender. It felt very luxurious and warranted the price. I loved it So much that I decided to purchase this from look fantastic. The one I received however smells very synthetic and hardly of any lavender, and is not a pleasant product to use. I queried this with look fantastic and got minimal help, they eventually advised me to return it for them to investigate and find a resolution. I did not return the product it would have cost me more money just for them to look at it. 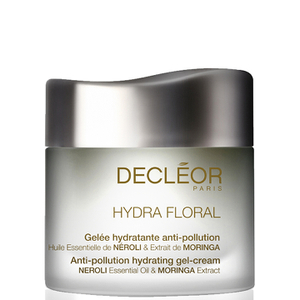 Disappointed by Decleor and look fantastic and won’t be using either again!